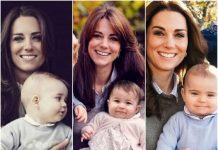 Prince Louis has now become a world-wide fashion icon, after the outfit the royal baby wore in heartwarming family photographs sold out within hours – with orders dispatched as far as South Korea. Seven-month-old Louis has already taken the fashion world by storm, after his blue and white romper outfit – which he wore for grandfather Prince Charles’ official birthday photos – sold out in just a few hours. Royal fans from as far as South Korea, Australia and South Africa ordered the £72 La Coqueta Carlina Boy Ceremony Set online, made by Spanish designer Celia Munoz. The outfit now remains out stock on the brand’s website. Ms Munoz told People Magazine: “It sold out immediately – it’s amazing the effect it has on a small brand like us. It was a total surprise but really wonderful, and I am very proud. The family-run brand is now taking orders for the next batch of stock, as dozens more keen royal fans line up to purchase the outfit. 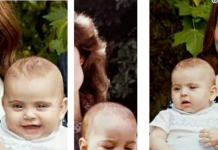 Prince Louis wore the classic piece – a collared blue and white romper with intricate stitching – for Charles’ 70th birthday photos. 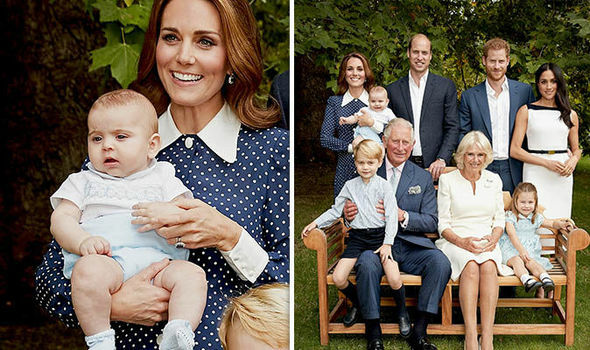 Louis looked content in his mother Kate, the Duchess of Cambridge’s arms as the family posed for a series of pictures. Meanwhile Louis’ sister Princess Charlotte, 4, was pictured beaming as she sat beside Charles’ wife, Camilla Parker-Bowles. Prince George, 5, sat on his grandfather, Prince Charles’ lap with his parents, Kate and Prince William stood right behind them. Louis’ white and blue romper echoed a similar outfit worn by Prince William in 1983. 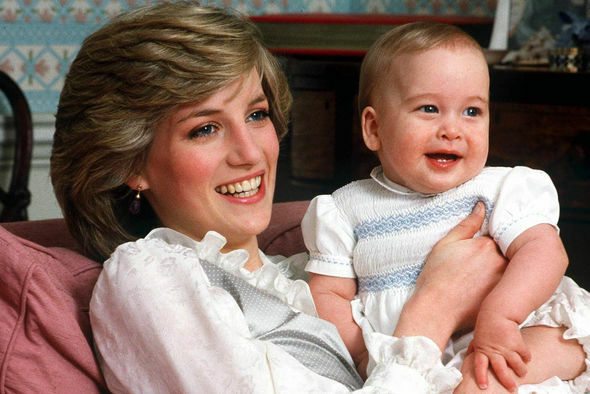 The late Princess Diana was pictured beaming as she carried William, who was only a few months old, dressed in a white romper with blue stitches embroidered on the front of his shirt. The young royals often emulate their parents’ dressing, picking up style cues from timeless pieces worn more than 20 years ago. 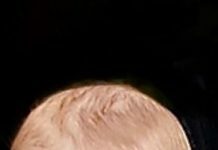 Prince George wore a similar ensemble to his father, Prince William, during an official portrait for his fifth birthday. 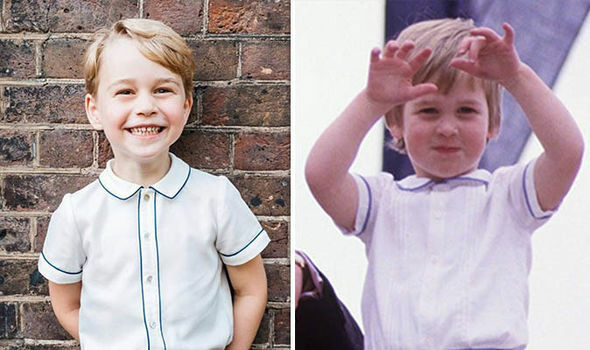 The prince, who is third-in-line to the throne, wore a white button up shirt with short sleeves and blue shorts – similar to what William wore in 1985 on a family trip to Venice. 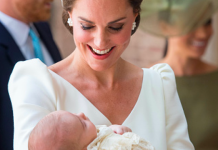 The young royal also wore a white shirt and red shorts during his sister Princess Charlotte’s christening. inspired by his father’s outfit in 1984, when William visited Prince Harry in hospital.